State of Illinois Invitational Marching Band Champions: 1979, 1986, 1989, 1990, 1991, 1992, 1993, 1994, 1995, 1996, 1997, 1998, 2002, 2003. State of Illinois Invitational Marching Band Finalists: 1978, 1979, 1980, 1981, 1982, 1983, 1984, 1985, 1986, 1987, 1988, 1989, 1990, 1991, 1992, 1993, 1994, 1995, 1996, 1997, 1998, 1999, 2000, 2001, 2002, 2003, 2004, 2005, 2006, 2007, 2008, 2009, 2010, 2011, 2012, 2013, 2014, 2015, 2016. BOA Grand National Champion: 1996. BOA Grand National Finalists: 1985, 1986, 1987, 1988, 1989, 1990, 1991, 1992, 1993, 1994, 1995, 1996, 1997, 1998, 1999, 2000, 2001, 2002. BOA Class AAA National Champions: 1988, 1989. 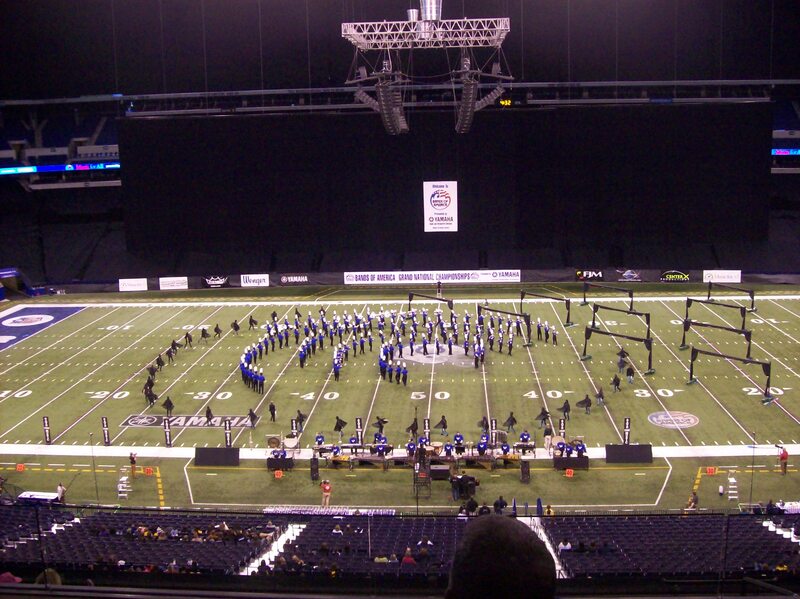 BOA Grand National Semifinalists: 2003, 2004, 2005, 2006, 2007, 2008, 2009, 2010, 2013. BOA Grand National Finals Outstanding General Effect: 1996. BOA Grand National Finals Outstanding Music Performance: 1989, 1996. BOA Grand National Finals Outstanding Visual Performance: 1989, 1993, 1997. BOA Akron, OH Regional Champions: 1988. BOA Cincinnati, OH Regional Champions: 1996. BOA Indianapolis, IN Regional Champions: 1996. BOA St. Louis, MO Regional Champions: 2001. BOA Toledo, OH Regional Champions: 1991, 1993, 1995, 1997, 1998. BOA Akron, OH Regional Finalists: 1988. BOA Cincinnati, OH Regional Finalists: 1989, 1996. BOA Indianapolis, IN Regional Finalists: 1992, 1996, 1997, 1998, 1999, 2000, 2001, 2002, 2003, 2004, 2005, 2006, 2007, 2009. BOA Louisville, KY Regional Finalists: 1999. BOA Massillon, OH Regional Finalists: 2008. BOA Pontiac, MI Regional Finalists: 2003, 2010. BOA St. Louis, MO Regional Finalists: 2000, 2001, 2002, 2003, 2005, 2011. BOA Terre Haute, IN Regional Finalists: 1987. BOA Toledo, OH Regional Finalists: 1991, 1993, 1994, 1995, 1997, 1998, 2000. BOA Cincinnati, OH Class AAA Regional Champions: 1996. BOA Indianapolis, IN Class AAA Regional Champions: 1996. BOA St. Louis, MO Class AAA Regional Champions: 2001. BOA Toledo, OH Class AAA Regional Champions: 1991, 1993, 1994, 1995, 1997, 1998.